I recently interviewed celebrated rum aficionado Stephen Remsberg for an article on Swizzles for the New York Times. So, on a recent trip to New Orleans, I decided to put a name to a face and visit the Big Easy lawyer—and his 1,300-bottle collection of old and rare rums. Remsberg did not disappoint, either in his spectacular collection (only a fraction of which (say, 400 bottles) was on display on the shelves behind his home bar, or in his hospitality. He first poured me a 1933 Bacardi, which was fading a bit, but still more complex and enjoyable than most of what Bacardi purveys today. He then showed me was Lemon Hart Demerara 151 can be. 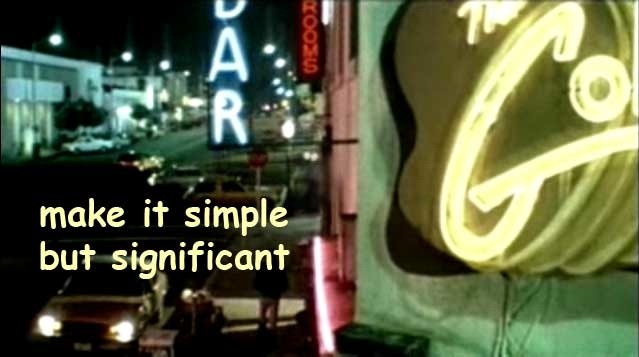 Later on, he turned me on to El Dorado, a Guyana brand of rum that he endorsed as an undersung, well-crafted bargain. I had to agree. Perversely, the most interesting sipping experience at the Remsberg bar was not a rum, but a rye. Remsberg is mainly a rum man. But he has in recent years explored a new liking for ryes. The lawyer has a lot of connections by now. When people stumble upon an old bottle of booze, they call him and say "Hey, Steve..." One day one such person said he had a line on an vintage bottle of Old Overholt. Prewar. That is, Pre-World War I!! Out came of larger-than-usual bottle of 1911 Overholt. All it said on the label was the name of the brand and the year. Those were simpler days. And here's the kicker. 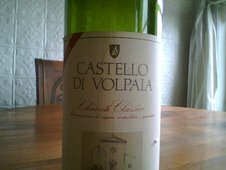 You know that familiar, enjoyably roughhewn, fruity then slightly spicy Overholt taste? Well, Goddamit if it doesn't taste the exact same after nearly 100 years in the bottle! It was as lively as when it was born. But for one agreeable change—the rougher edges have smoothed out a bit. Overholt may be a workhorse rye, but you gotta hand it to it. It's got legs. 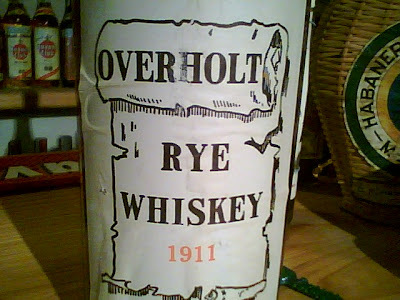 I have a bottle of Overholt dated 1911, and it looks nothing like the picture shown. However, it too reads simply "Overholt 1911". Is this a treasure to the correct group of afficianatos? I wonder if "1911" on the Overholt label had some significance other than just the date of bottling, because I too have a 1911 bottle. It was given to my father in the late 1930's from a stash that was socked away just prior to prohibition. If that story is correct, it was probably purchased around 1918 or 1919, not in 1911. I just had the same luck! !